By Saturday night, “Black Panther” will become the highest-grossing superhero movie of all-time at the domestic box office. It will have surpassed previous record-holder, 2012’s “The Avengers” ($US623.2 million). However, counting inflation, “The Avengers” still is the top superhero movie with a domestic gross of over $US700 million. By Saturday night, “Black Panther” will be the highest-grossing superhero movie of all-time at the domestic box office, with an estimated total of over $US630.5 million by the time the weekend’s over. It surpasses the previous title holder, 2012’s “The Avenger” ($US623.2 million). And with a $US1.2 billion worldwide gross, the movie is inching closer to the top 10 all-time (currently sitting in 14th place just behind “Iron Man 3” with $US1.214 billion). Now, none of this is counting inflation. When going down that road, “Black Panther” still has a little more work to do. 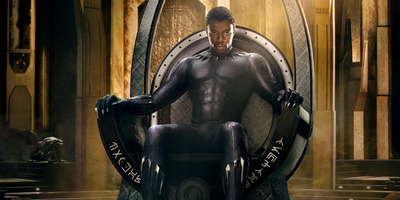 And “Black Panther” is in fourth place for all-time superhero domestic grosses – behind 2002’s “Spider-Man” ($US637.8 million), 2008’s “The Dark Knight” ($US683.5 million), and “The Avengers” ($US705.7 million). Nice company to be in, and with the movie still having a month (maybe two) in theatres, who knows where it will end up on this list of titans.